Fine Quality Economy Pedal Steel Guitars! 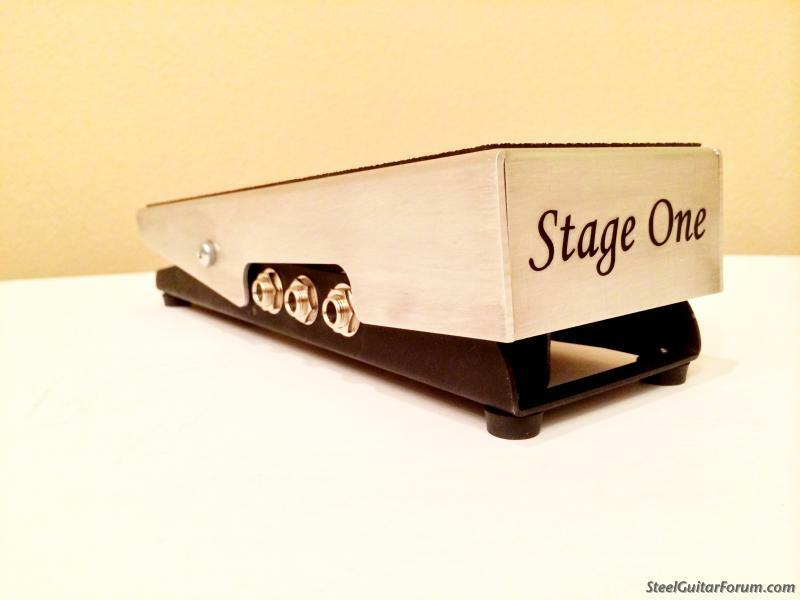 Steel guitar volume pedal is designed to be comfortable to use in the seated positon. It's a lightweight sturdy design with a modern potentiomenter and gear drive. It features a direct tuner out feature. Switchcraft jacts are used. The pedal base is now plated, rather than painted as in the photo. Price is $100, plus $10 shipping via the US Post Office to US address in the lower 48 states. Copyright D.Verle, LLC, Stage One Steel Guitars All rights reserved.